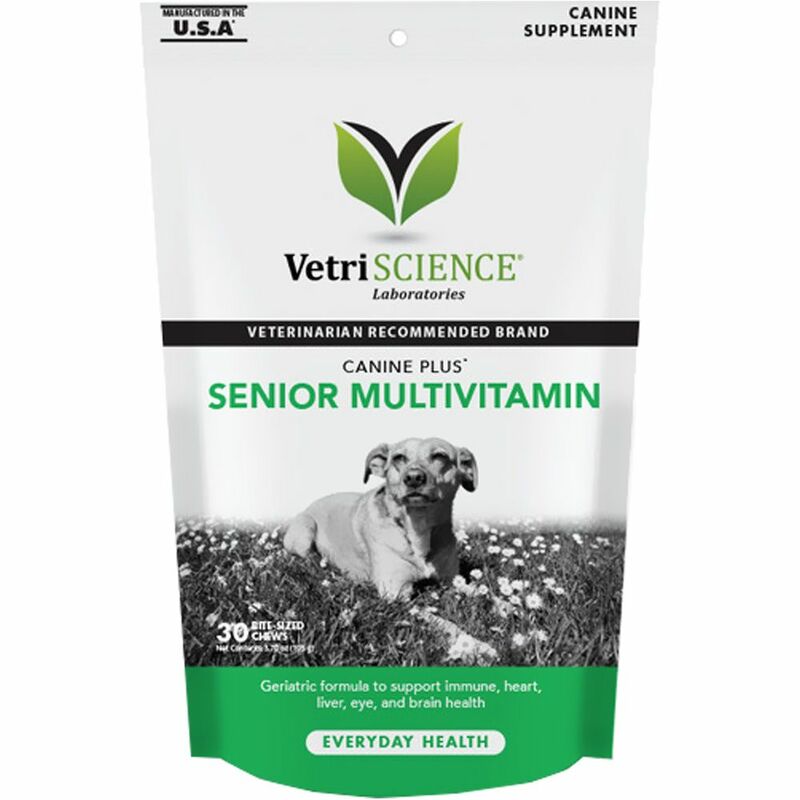 Canine Plus™ Senior Multivitaminis specifically formulated to meet the nutritional needs of our mature dogs with a balance of amino acids, fish oil omegas and B vitamins. As dogs age they may experience deficiencies in various nutritional factors. Canine Plus™ Senior Multivitamin is the perfect way to give your senior friend a well deserved leg up! Under 25 lbs: - 1/2 chew daily. 25 - 75 lbs - 1 chew daily. Over 75 lbs: - 2 chews daily.